I haven’t gotten very far, but the beginning seems to describe the Princess in all her glory. I can’t wait to get some tips on how to deal with all of her –because frankly it is exhausting most of the time! Planning: Spa parties! Lemongrass spa parties of course! All the ones I’ve had so far have been super fun. Watching: nothing–I’m not interested in most of the things available right now and I just don’t have much time. I’d rather be reading. Cooking: SOUP–since I’ve started making lunches out of the last five weeks 3 of them have been a soup. See my menu plans for recipes! Eating: muffins/ quick breads–it has finally gotten a wee bit cooler around here and so I’ve been baking and it makes me happy! Drinking: coffee with my new dairy-free half and half! Pinning: pumpkin and snickerdoodle recipes. I just can’t stop! Crafting: I want to make some fall cards–maybe that will happen before the end of the month! Loving: pumpkin spice –no pumpkin–just the seasoning! Feeling: excited for even cooler weather–I have yet to unpack my sweaters! Celebrating: Host A Spa Party Day–it was super fun and I can’t wait until next year’s! 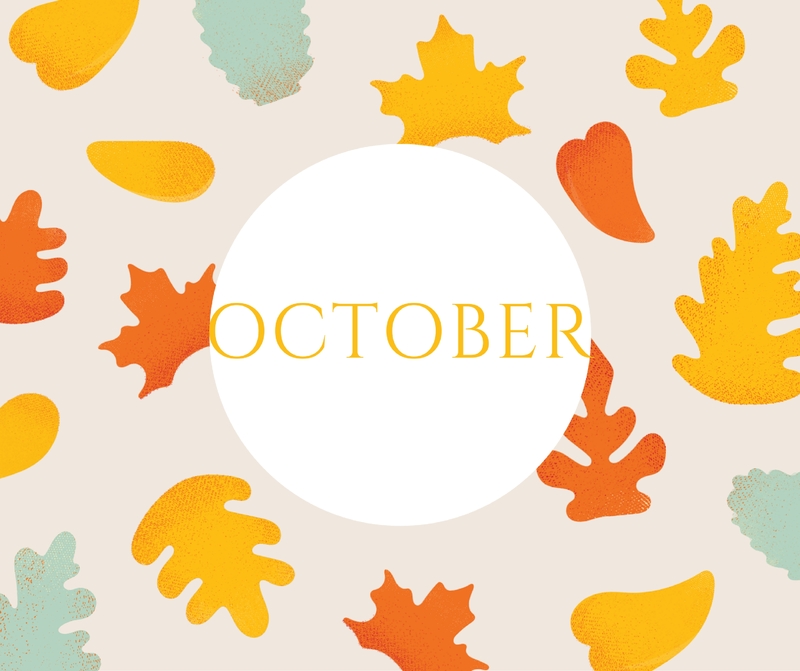 Are you doing any fun things in October?